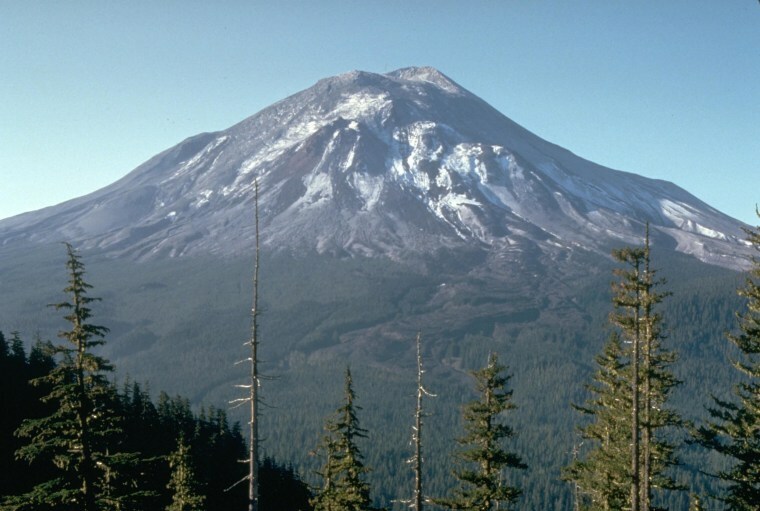 Mount St. Helens is demonstrating signs of long-term rising magma and earthquake activity, but there's no indication that the volcano in southwest Washington state is likely to burst anytime soon, federal scientists said. The magma reservoir roughly four to six miles under the surface of the 8,363-foot volcano has been slowly but steadily re-pressurizing since a steam eruption that lasted between 2004 and 2008, the U.S. Geological Survey (USGS) said in a statement Wednesday. Scientists have theorized that fresh molten rock has been recharging inside the volcano since that last eruption. But they have only recently been able to confirm that suspicion, said Carolyn Driedger, spokeswoman for the USGS Cascades Volcano Observatory in Vancouver. Driedger said the uplift is relatively slight and subtle, measuring roughly the length of a thumbnail over the past half-decade. She stressed the an eruption is not imminent. "The magma could be at current levels for another 100 years before any eruption," Driedger said. The eruption of Mount St. Helens on May 18, 1980, killed 57 people, toppled a forest and spewed volcanic ash into the sky and rivers.